Book Your 2019 Explorer Cruise and waive the single supplement! Get ready for a rare adventure! 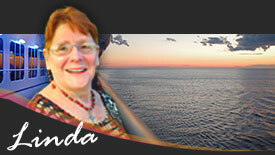 From Antarctica to South America you cross through incredible passages and sail on unforgettable explorations! 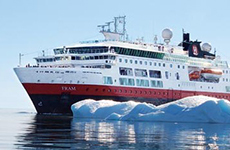 Meet penguins up close and touch icebergs with your bare hands or adventure far beyond an ordinary cruise, join amazing expeditions to verdant jungles, Mayan ruins, perfect beaches and crystal-clear waters. On board there is so much to do: the Explorer room, Young Explorers Program, theme days, exciting lectures, and more, all designed to enhance your trip. Book TODAY and waive the single supplement! THE FINE PRINT This offer cannot be combined with any other promotions except the Ambassador offer. Offer is valid for new bookings only, for select departures, is capacity controlled, and subject to withdrawal at any time without notice. Offer is open for individual bookings only. 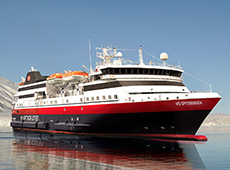 Prices can fluctuate and are subject to change at any time at the discretion of Hurtigruten. The final price will be confirmed by the Customer Sales Specialist, or if you book online, in your shopping cart. Other restrictions may apply. Offer is valid through January 1, 2019, subject to cabin availability.